The best way to learn the art of Oriental Medicine is by direct transmission in the clinic - seeing, feeling, sensing, and being part of the treatment process - through a relationship with someone familiar with the road you are on. 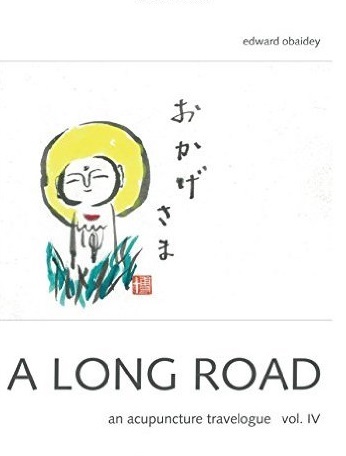 A Long Road: An Acupuncture Travelogue provides snapshots of steps along the road by the author in his development over many years as a busy practitioner. The real sense of living, dynamic treatment is conveyed through the author's obvious dedication and delight in pursuing and transmitting understanding of this art. The more so by the inclusion of conversation transcripts between the author and his students through which the reader is offered the chance to benefit from a sense of the sensei/ deshi (teacher/ student) relationship. In-depth articles cover specific conditions, treatment concepts, diagnostic nuance, case histories and discussion on point meaning and use. The classical texts are explored with translation & commentary and brought to vibrant clinical relevance to the extent that the text could almost be viewed as a clinical work-book. To be consulted, for inspiration and guidance - and to be sweated over in study - but mostly (and importantly) in clinical practice. This text is recommended for practitioners of all 'styles' or 'methods' as a path away from the unfortunate tendency to intellectualize oriental medicine and thus trap it in the classroom or lecture theatre. The reader is offered a bridge between classical theory/ training, and the vibrant reality of the clinical practice of acupuncture, moxibustion and traditional massage.